Few projects will improve your curb appeal as much as installing new siding on your home! 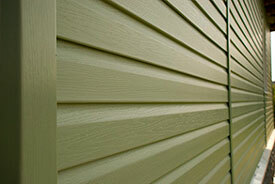 INSPIRE RESTORATION offers the finest quality siding, and uses only the most skilled installers available! INSPIRE RESTORATION offers a wide variety of siding systems such as Vinyl, foam-backed Vinyl, faux vinyl shakes and stone, Aluminum and more! Whether you are restoring you home after a serious storm, looking to enhance the value of your property, or maybe you just want to change the look of your home’s exterior, INSPIRE RESTORATION is here to help walk you through our broad range of available siding options!